I’ve been pretty busy lately with midterms and the Olympics but a couple of these rapid fire posts should get things back on track! Timberlake’s fifth studio album and his first in five years follows one of the best pop albums of the decade with a confusing amalgamation of genres and a striking musical deviation into a territory that is a markedly poor fit for the r&b inflections his voice naturally possesses. 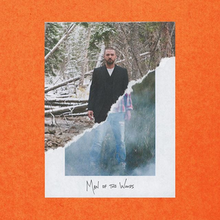 Inspired by the birth of his son and described as “Americana with 808s”, Man Of The Woods still possesses moments where the talent we all know Timberlake has cuts through the misguided decisions in production, put for the most part tries to do too much and appeal to every music listener, losing its sense of self in the process. The main problem the album has is its lack of direction. Lead single “Filthy” alone runs through three clashing sections, all seemingly jumping on trends of the past that have overstayed their welcome – and it doesn’t even have any of the country-folk flavour that colours about half of the project. While I can often be a proponent of blending genres together in an experimental fashion, Timberlake’s exaggerated country accent and campfire-song acoustic melodies just don’t work with the trap beats and synth-bass here. Timbaland’s production has been unsure of itself for a while now, but dragging Pharrell Williams and the Neptunes into this was a truly strange choice. He does his best with what he is given, but this style of music simply isn’t his forte. Timberlake’s lyricism is noticeably weaker here as well, abandoning the suave wittiness of his romantic come-ons for ready-made phrases and Internet lingo, seemingly trying too hard to become a meme or catch the attention of a certain demographic by pandering. It just makes him appear disingenuous – people were appropriately outraged at the buzzword titles at the back end of this tracklist. This ingenuity extends to the instrumentals, it’s as if nobody working on this project is actually aware of the reality of the trends they emulate here. Many of the country elements here are stereotypical and derivative twangy guitar loops that haven’t been in fashion for a long time for a reason. 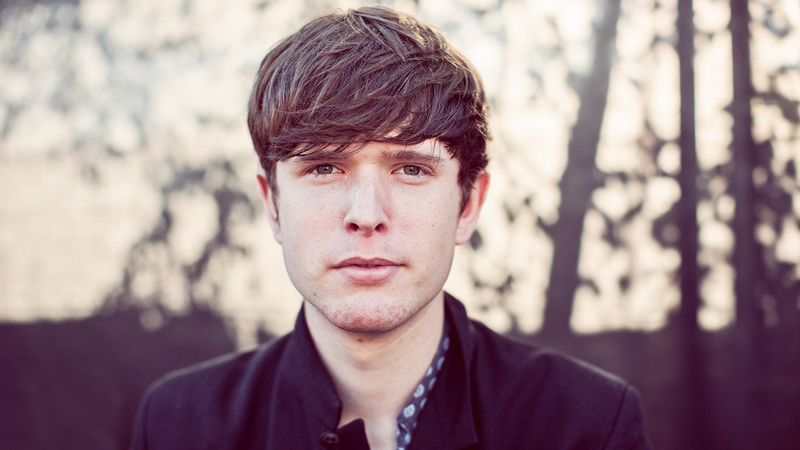 His r&b vocals clash with the obnoxious “country” guitar pattern on “Sauce”, for example. He can certainly save a few of these weird decisions with his charisma and talent – the title track has some impressive harmonies and fun, goofy delivery that’s just campy enough to fit – but for the most part it’s a very confusing listen. Unsurprisingly, the best moments on this album are it’s most traditionally r&b tracks, at times sounding like Timberlake is trying to recapture some of his earliest work rather than the neo-soul of 20/20 Experience. “Higher, Higher” is a solid old-school r&b track with a catchy guitar pattern that sounds like it could have fit perfectly on Justified, while his duet with Alicia Keys, “Morning Light”, is easily the best track here. The two complement each other well, Timberlake giving us those vocal runs he holds back for the rest of the album. The slight country flavour fits better here, as a meandering, lazy guitar line slinks through the slower bassline and accentuates the two lovers’ sweet words as they lie in bed in the morning. Co-written with Chris Stapleton, it’s got his real, heartfelt soul that the rest is devoid of. I just … sincerely can’t believe that the song “Flannel” exists. It sounds like if you put a trap beat on the “F.U.N.” song from Spongebob. For someone with so much natural ability this is certainly a huge disappointment, especially for how long it took in between albums. Let’s hope he rights the ship, and it doesn’t take as long this time. Kendrick Lamar and the rest of his label step up to curate the soundtrack to one of the most highly anticipated movies of the year, and while the soundtrack format and the commercialization of many of these songs to fit within Marvel’s easily accessible narratives hold it back from the narrative complexity of one of the label’s great albums, it’s impossible to deny all of the talent assembled here and the refreshing African flavour of the tracklist, recruiting some artists from the continent itself. These artists frequently come much harder than I would ever expect them to on a soundtrack, giving us a number of tracks that could easily stand out on their own. Kendrick appears in at least a very small capacity on each of these tracks, but he certainly makes his presence felt. TDE in-house producer Sounwave is behind most of these beats, and he’s on the top of his game as usual – “X” is one of the greatest rap beats I’ve heard in a long time, and Kendrick’s quotable hook and hilarious, dynamic verses from ScHoolboy Q and 2 Chainz make the track an obvious highlight. Kendrick’s curation shows that he knows the right artists to put together as well – “The Ways” doesn’t really fit in with most of the album, but the adorable r&b exchanges between Khalid and Rae Sremmurd’s Swae Lee as they long for a “power girl” are cheesy and endearing in the best possible way – the two complement each other very well. And while we’re talking about great teams, Kendrick and Travis Scott link up once again on “Big Shot”, as they dismiss their foes in the carefree and instantly iconic way that only they could. I think we finally found something Kendrick Lamar can’t do – on opening track “Black Panther” he tries his hand at production for the first time and the juxtaposition of tones on the brief track just comes across as way too jarring despite his technical dexterity on top. There are quite a few moments on this project when its clear that Kendrick and others are holding back a bit from creating the creative, thought-provoking material we know they are capable of, but I appreciate this for what it is. Even so, Kendrick doesn’t have his typical urgency in his verse on “All The Stars”, not measuring up to SZA’s virtuosic chorus, while tracks like “I Am” and “Bloody Waters” are similarly watered down and the rap verses from individuals like Jay Rock can be underwritten – this isn’t their own, well-crafted work and the effort level can show it at times. While many soundtracks can seem entirely phoned in and commercialized in the pursuit of a radio hit or two, not many have Kendrick Lamar and Top Dawg Entertainment behind them. The phoned in version of these artists are still sitting firmly at the peak of culture right now, and what better way to show it than with the cultural phenomenon that is Black Panther. The viral 18-year-old Indonesian rapper drops his debut album – and his previous controversial name – and displays his unique artistry and approach to the genre across a full-length project for the first time. Produced almost entirely by himself, Brian accommodates his deadpan, slightly comedic delivery with some spacey, synth-oriented beats that draw more attention to his words. While this lack of variation in his delivery and similarity across a few tracks withhold it from being truly great, Brian’s legitimate technical skill, great personality and unique production makes Amen an impressive debut. The project opens strong with “Amen” and “Cold” – the first of which just introducing us briefly to his surprising level of technical prowess for someone who exploded onto the scene with a song like “Dat Stick”, while “Cold” sees everything click into place at the same time for him – the instrumental sounds like it comes from a 90s video game, Brian’s cadence and the off-kilter production reminding me of some of the best work on Tyler, The Creator’s latest project. When the beat drops and you hear just that little bit of extra spark in Brian’s voice it’s a refreshing sonic experience – nobody is doing it particularly like this. “Introvert” is another great track that shows off Brian’s unique production style – it is calming and chilled, yet so appropriate for when he starts rapping some outlandish punchlines on top. An appearance from Joji – or as you may know him, YouTube’s Filthy Frank – only increases the early-Gambino kind of quality to the music. It’s funny and endearing, but there’s not a particular, overt reason why – this is just a talented guy who learned how to rap through the Internet and is having fun as his exposure peaks. There’s something about his cadence that is aggressive and percussive even though it is quiet and reserved, and when it links up with these hi-hat-infused beats it just goes ridiculously hard, all the while he’s dropping jokes about everything from ISIS to The Incredibles. Brian’s carefree and unexpected lyricism is another highlight, showcasing exactly who he is for the project’s full runtime. Some tracks, such as “Glow Like Dat”, feature more of an r&b approach, toning back the rap percussion and letting Brian’s ethereal instrumentals dominate. Brian’s intentionally sleepier approach to his bars doesn’t translate as well to his singing, going a bit too off-key to be enjoyable. 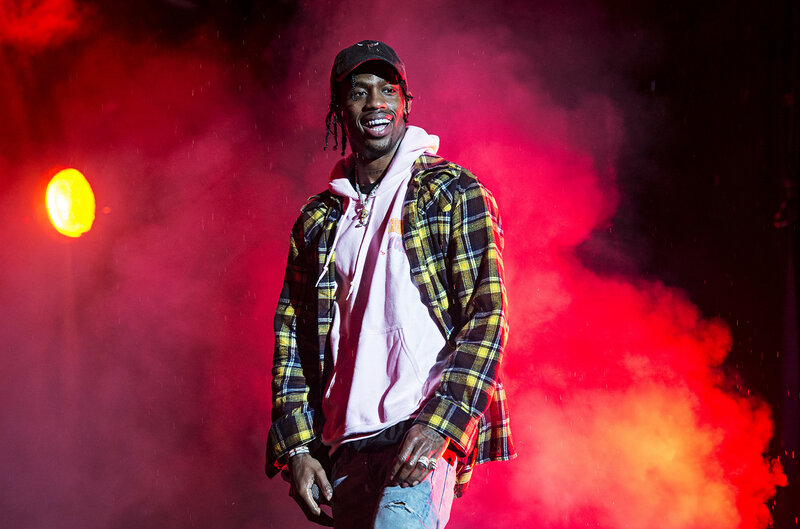 Across 14 tracks as well, some of these songs begin to sound too similar to counterparts in the album’s earlier stages – even something as early as “Trespass” is the same style of trap banger with a moderately straight, monotone flow he had already demonstrated 2 or 3 times, quickly becoming forgettable. It’s certainly a trademark artistic choice that makes him stand out – but this flow can only take you so far across a full project. Someone like 21 Savage only stands out as contrast to someone more energetic. More variation in his cadence and flows would benefit Brian well in the future, but at the moment we have to remember he is still only 18 – and this much of a fully defined artistic vision is quite impressive for someone as self-taught as Brian is.